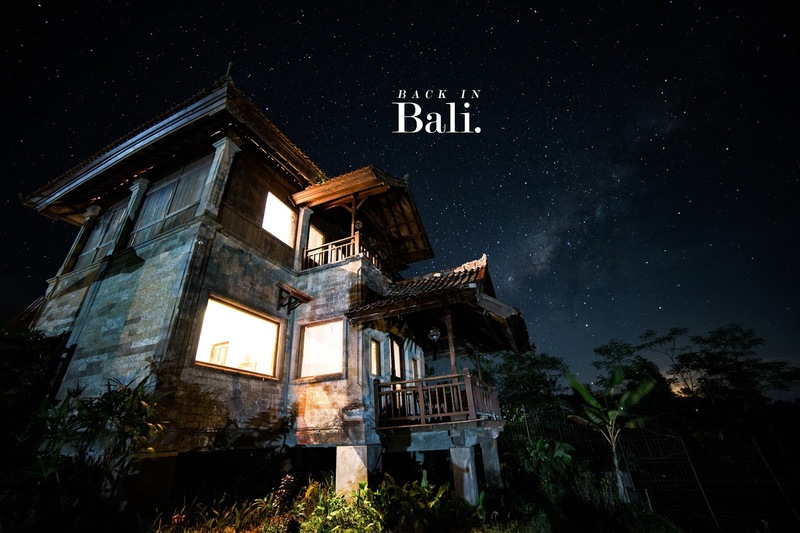 Back in Bali ~ this anomal life. As I sat on the plane headed towards Hong Kong, I looked out the window and saw that the sky was extremely clear. As I looked closer, I saw this cloud-like haze around the horizon and I thought...it can't be... So, I took out my compact and started shooting out the window. Lo' and behold, I saw that magical green colour pop out of the viewfinder. This was my first time seeing the northern lights! I then took out my DSLR from the baggage compartment and shot away. This was handheld! Anyway, we arrive in Bali now. We spent one of our afternoons at Canggu Beach. My cousin Dennis and his wife Charlene. We rented four beach chairs for 200,000 rupiah, roughly $20. It might have been expensive but I'm pretty much a pushover when it comes to haggling. My Ray Ban's which I eventually lost later on this Bali trip. This place gets pretty crowded. There are also vendors selling grilled corn which I was tempted to get. We got into the beach from Finn's Beach Club. Getting into the beach is free. If you want a booth by the pool, you will have to pay per hour, I believe. Padang Padang beach. The water was pretty rough the day we came. Monkeys chilling on the way down to Padang Padang Beach. Padang Padang Beach from the bridge. Translated as: "If you cannot throw your garbage in the proper place, better to consume your food and drink with it's wrapper too." Blue Point Beach from the top. We didn't go all the way down to the bottom. We chatted and had some drinks at a cafe. You can see surfers doing their thing from up here. It's pretty crazy how high the waves are. Local ladies weaving coconut leaves to make Penjor (which you will see later on in this post). Canang sari, a daily offering made by Balinese Hindus to thank the Sang Hyang Widhi Wasa (source: Wikipedia). I thought the surfboards were pretty cool. We went for a swim back at Sun Boutique Hotel on Sunset Road. It's a great, affordable hotel! I recently bought a used Olympus TG-3 and so I was trying it out in the water. It's pretty awesome! Next day, we went to the fish market because I really wanted to go (I am weird, I know). Skip these next few pictures if you're squeamish and dislike seeing photos of dead fish. That's a pretty big red snapper. Tiger shrimp. My aunt says these look really big but actually, they have thicker shells. Opt for the white shrimp instead. These are the white shrimp. A cat taking a nap in the market. My aunt inspects the veggies at the market. Again, not sanitary by western standards. They sell some fresh tuna too. The green stuff you see is petai (stink bean or bitter bean). Pineapples. Pen Pineapple Apple Pen (sorry, I had to). I love these limes. They have much better flavour than regular ones. This is the Beji Guwang Hidden Canyon in Sukawati. To enter, you will need to pay a small entrance fee. Prepare tip for the guide (we gave ours 100,000 Rp). Also...prepare to do some serious hiking. We were grossly unprepared for what was to come. Also, you cannot wear your sandals/running shoes here and the rocks hurt my feet a lot. Not sure if you can wear water shoes either but that would be ideal. Moments before I dropped my Ray Ban's into the water. I heard something splash in the water and thought it was a fish. It was not a fish, unfortunately. Bye Ray Ban's. It's quite an impressive place! Our guide tells us that earlier in the year, this gorge would be filled up with water, almost all the way to the top. We stopped after the second canyon, I believe, as the guide told us the next canyon would require us to wade in waist-deep water (which we were not prepared for). Next time! We hung out in the town of Ubud for a bit. Initially, we were going to go Seniman Coffee but we found out that it was closed (because we were there around Galungan and Kuningan holiday). This is a Penjor: a tall bamboo pole decked out with coconut leaves. It has a little box at its base to put offerings in. If you see these hanging around in Bali, it marks important ceremonies and hindu temple celebrations. Again, in this case, it was the Galungan and Kuningan holiday. Some are incredibly elaborate--I was told that they also indirectly signify your status/wealth in the community. So if you see a decked-out Penjor, it is likely that the family that built it is ballin'. More close-up pictures of penjor. Here you can see the wheat they use to decorate it. It looks pretty nice when a whole street's lined with them. Evening rolls in and it's time to go home! This is my favourite place in Bali. My aunt and uncle recently bought this run-down villa complex and they're restoring it surely but slowly. It's called Wanigiri Eco Villas. It's definitely a raw, wild, unique experience. It used to be a ritzy villa a few years ago until the owner could not afford to maintain the place anymore and it was taken over by the bank. The villas are made with beautiful wood. Here's one of the villas' bedroom. The steep hill that lead to the villas. This used to be a swimming pool, but now it is temporarily used to farm tilapia (apparently there are thousands in there). The guy on the left, Pak Yudhi, helps to run the place. As you can see, the villas here are beautifully decorated. There's a balcony for every villa. Imagine sipping your coffee here in the morning. One of the reasons why I love this place so much is the stars at night! Since the villas were lit well, it provided a great foreground for astro shots. The Rokinon 14mm f2.8 does it job really well. Could've stayed out there all night but I will admit that it is a little creepy walking around by yourself at night. We had fried bananas and some noodles for breakfast. This is the view of the villas from the main house balcony. Other guests enjoying the view. If you go up to the second floor of the villas' main house, you can walk around on the roof. Next local destination is the Banyumala Twin Waterfalls. It is a relatively new waterfall around these parts but it's quite close to the villa. It was tough to get down here, there's a dirt road you can drive through to get to the parking area but it's extremely steep and narrow. Then you will have to hike down to the waterfall itself, which can be pretty challenging in itself. However, it is totally, 100% worth it! I have to say, this was my favourite waterfall of all time. We're calling it a day here and we started making our way back up. I love the lush greens of tropical countries. There was this cool area with jungle vines on the hiking trail. My uncle and aunt are quite cute together. This is where your coffee comes from. And we're back to the parking lot. Bali will always be a fun place to visit! It's no wonder people love it here--it has everything! Culture, mountains, rice paddies, you name it. Maybe next time, I will go to Sekumpul Waterfalls, Bali National Park and Lovina. I recommend Bali to anyone. Special thanks to my aunt, uncle and cousins for making our stay in Bali extra special.